As premier distributors of Python Guards™, we now provide truly custom mouth guards for MMA, boxing, hockey, football, basketball, soccer. 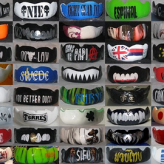 We also fabricate custom mouth guards for braces. 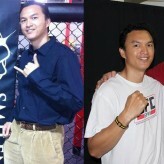 Proud Sponsors of UFC™ Gym® – Thank you Throwdown® for the awesome job on the logo. Mahalo @bjpenndotcom and special thanks to Team Corona for all your support.